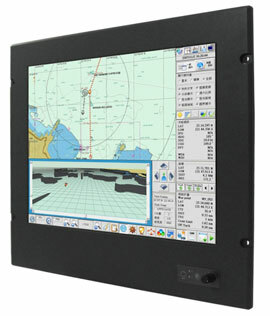 Winmate product's line of Marine Panel PCs extend the range of standard Marine panel computers with a series of high performance and fanless designs that can stand up to extreme environments while delivering superior view ability, low power consumption, and panel (flush) mount IP65 aluminum housing with powder coating design (IP54 rear). Winmate latest models in the Marine Panel PC line offered high performance Intel Dual Core Atom N2600 Platform with wide voltage range power input as well as different sizes for different purposes from 10.4", 12.1", 15", 17", 19", and 24". For our 12.1" and 24" Marine Panel PC, design and testing are according to DNV as well as IEC60945 standard for certification. The most important ruggedness requirement for Panel PC is shock that can occur as vibration. As a result Winmate did configure the Marine Panel PC products line to be able to pass 5 Hz~ 500 Hz / 1Grms / 3 Axis for vibration test and 15G, 11 ms duration for shock test. Overall construction of this Panel PC is inherently rugged with IP 65 aluminum housing with powder coating design which means it can handle water spray from all directions.